“When a country (USA) is losing many billions of dollars on trade with virtually every country it does business with, trade wars are good, and easy to win,” President Trump tweeted last March as his administration began to impose higher tariffs on steel and aluminum imports. At the time, the University of Chicago polled dozens of America’s top economists on the subject, asking if they believed the tariffs would make Americans better off. Not a single one agreed they would. Notwithstanding the warnings of economists, the Trump administration continued to raise tariffs on imported goods throughout the duration of 2018, such that some $280 billion of imports were hit with tariff rates ranging between 10 and 50 percent. In response to America’s move toward protectionist trade policy, countries such as Russia, China, Mexico, and the European Union have imposed retaliatory tariffs on $121 billion worth of US exports. A year after Trump’s tweet about the ease with which trade wars could be won, economists from Princeton, Columbia, and the Federal Reserve Bank of New York have released an analysis of how Trump’s trade policies have impacted Americans, and the results so far aren’t promising. 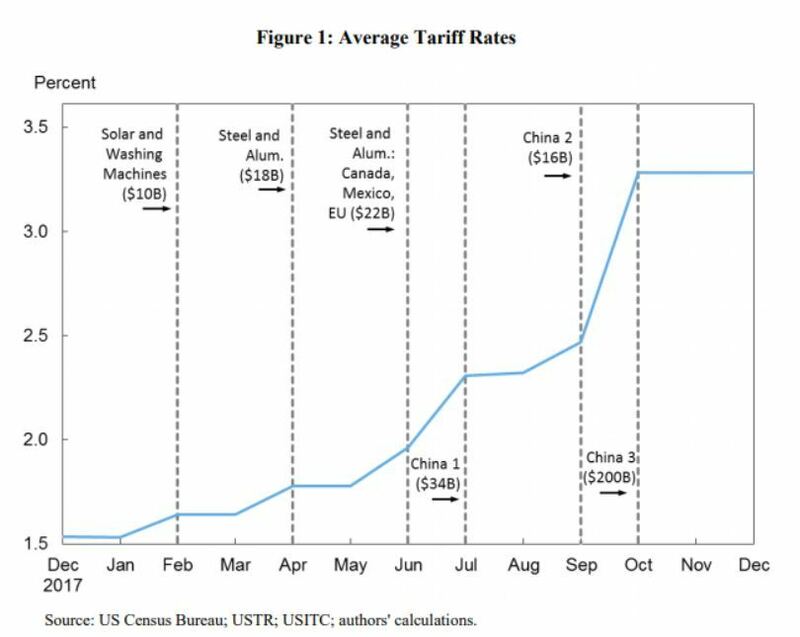 In addition to the economic toll of the trade war the tariffs caused, they find that the full cost of the tariffs was passed on to US consumers, meaning the tariff hike was effectively a tax hike on all Americans. On top of that, in response to facing less international competition, American businesses have increased their prices. The economists estimate that Americans were left about $7 billion poorer because of the economic consequences of the tariffs, and they also paid $12 billion more in taxes to the government. Ironically enough, the Trump administration is issuing up to $12 billion in payments to farmers who have been hurt by the trade war. Essentially, Trump’s tariffs started a trade war, made Americans poorer, and caused them to pay more in taxes, and this new tax revenue may not even offset the costs of “bailout” payments to farmers harmed by the trade war. Genius. One can only hope that one day, the clear historical record of failure it has produced will lead to protectionism being discarded into the ash heap of history. President Trump often rails against foreign trade partners such as China that treat the US unfairly. These complaints sometimes have merit, as foreign governments often cheat and abuse US firms, which is why it’s odd that his administration is now seeking to perpetuate many of the same abuses on US-based pharmaceutical companies. 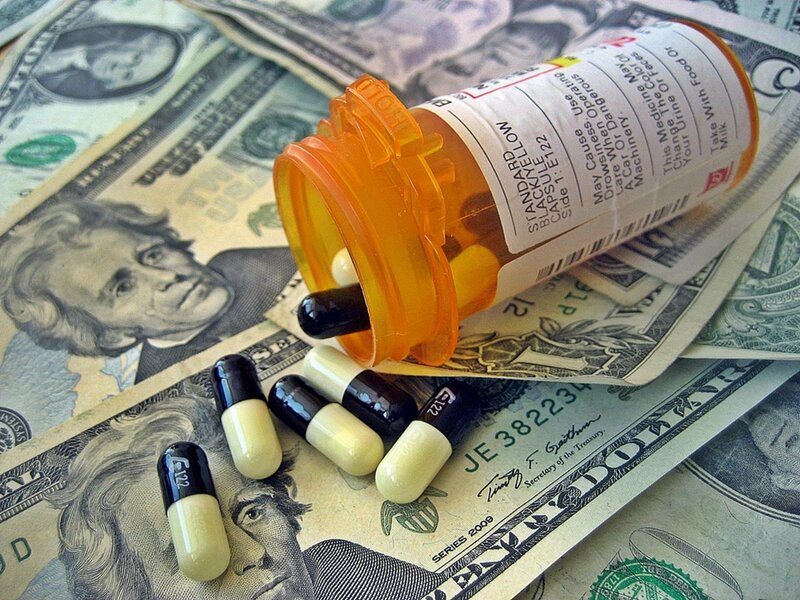 It’s well-known that prescription drug prices are typically higher in the US than many other nations. That’s both because bad domestic policies restrict the kind of competition that would keep prices in check and the fact that many foreign governments enact price controls while threatening to steal patents from companies that don’t cooperate. So, it’s especially troubling to see a proposed rule from the Trump administration that would index prescription drug reimbursements under Medicare Part B—which covers drugs exclusively handled by physicians and hospitals like vaccines and cancer medications—based on the prices paid in other countries, including those with nationalized health care systems. To borrow a legal metaphor, it’s fruit of the poisonous tree. Promising to lower the prices of prescription drugs is likely good electoral politics, but the way the administration aims to go about it is simply bad economics. Nor have other governments managed to avoid other downsides of their price controls. Because they seek to keep costs down the wrong way, new, life-saving drugs often take longer to reach their shores, and their patients are more likely to encounter shortages. From rent control to the gasoline lines of the 1970s, the connection between price controls and shortages has been well established. To be fair, the administration’s proposal is not a full-throated embrace of government control of healthcare, as it applies only to certain types of drugs for a subset of patients. But it’s part of a program created by Obamacare that focuses on small experiments with the eventual goal of implementing them more broadly. So, it’s a big step in the wrong direction. Medicare Part B is not a market-based system now. But rather than providing reforms that address the disease of a system overwhelmed by government mandates and distorted incentives rather than just the symptoms, President Trump’s proposed rule threatens to throw gasoline on the fire.